This is delicious. You’ve been warned. 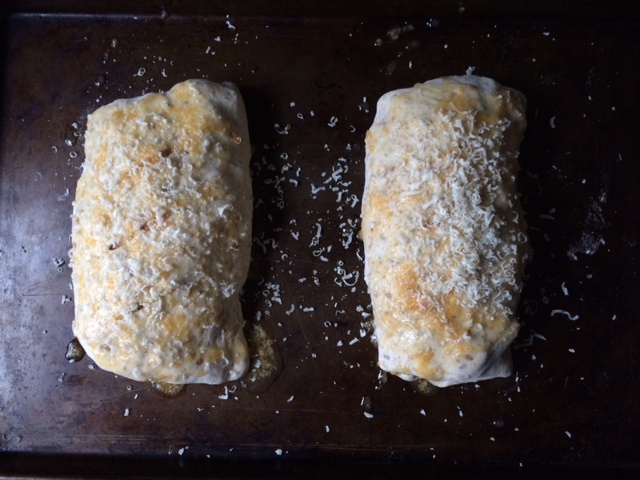 Turns out, that after I made the Philly Cheesesteak Stromboli, I was destined to continue creating similar dinners, like this Buffalo Chicken Hot Pocket. So when one of my friends came over today, we decided chicken was going to be our main subject. Buffalo chicken, to be exact. 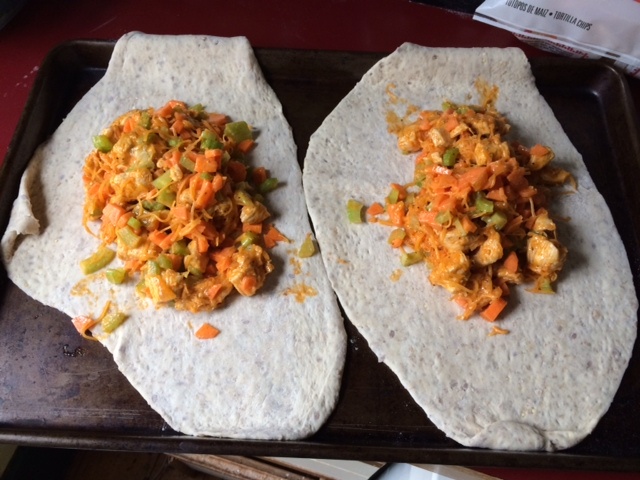 But I had this feeling that I couldn’t just stuff some buffalo chicken in some dough and call it a day. 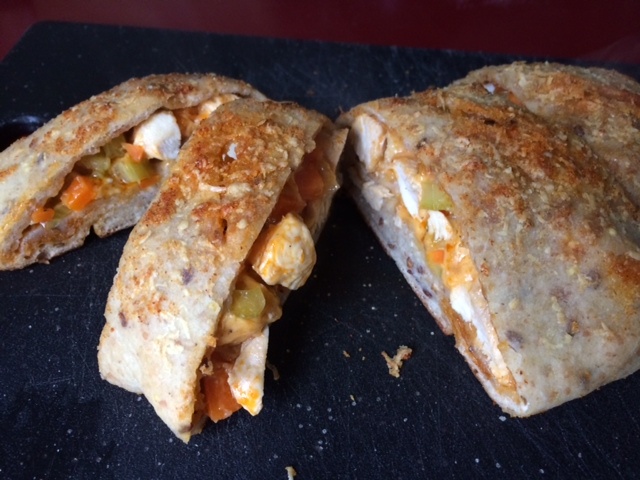 So we went all the way: carrots, celery, ranch dressing, and cheddar cheese stuffed inside, too. The result? A very fabulous adult version of a Hot Pocket. In a skillet, cook diced chicken cubes. Add butter and hot sauce, cook until chicken is cooked through and sauce has thickened. Should not be runny. Cut dough in half. Roll each half into a 1/4 to 1/2 inch thickness. Place on a cookie sheet. In a bowl, add celery, carrots, cheddar cheese, ranch dressing. Mix. Add chicken from skillet into bowl. Mix. Evenly scoop out mixture onto dough. Fold dough over chicken to enclose the filling. Flip over. Score two lines on the top. Mix melted butter and garlic powder. Pour over the top of each “pocket.” Grate Parmesan cheese over the top. Place in oven. Bake 12-15 minutes, or until dough is golden brown. Remove from oven. Let cool for 5 minutes. Serve.